Painting a commercial building, whether it be the exterior or interior of the building, is an excellent way to breathe life into an old structure and to improve brand image among competitors. Commercial buildings tend to be large and often involve many laborers, employees and customers, which means that interior and exterior painting has the potential to disrupt many people at once. Thankfully, there are strategies used by professional commercial painters to minimize the impact that such projects can have on your customers and workers. Proper equipment, training, insurance and staff are all key elements of a successful commercial painting company. First impressions are important, which means that hiring the best commercial painting company as a way to achieve the best final paint job can avoid having to repeat sections of a paint project due to premature peeling or cracking. A professional will ensure that the final results are crisp and appealing to customers and employees alike. Regardless of whether or not your commercial building is industrial or aimed at tourists, painting projects are an excellent way to change the appearance of a building and to attract new customers, retain current customers and to invigorate your workers. In fact, painting is one of the cheaper methods to change the way a space looks and feels. For hotels and tourist-based businesses, bright colors and modern styling can help your business stand out among the competition. When choosing an excellent contractor for the job, you will likely get access to better materials at a good price, which means that bright colors will remain bright for longer and will be less prone to staining or damage in high traffic areas. 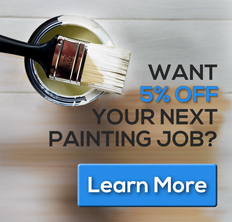 A professional can help you achieve your painting goals without significantly disrupting customers, even during the busy season. For commercial buildings such as factories, painting the interior can improve employee morale and can impress potential clients who take a tour of your facilities. Of course, painting in industrial settings requires specialized equipment and experience considering the likelihood of needing to move large equipment and scheduling the work so that employees are not disrupted. As commercial buildings tend to be quite large and may be operating 24/7, it is very important to make sure that the contractor you choose to hire has the correct experience and training for the job. Those with the correct qualifications also have proper insurance for the type of work you would be hiring for, which is important in the event of an accident or unexpected damage to your building. A history of completing large projects is an excellent sign of a good contractor. Reaching out to similar businesses as your own in your local area is a great way to discover which commercial painters have done excellent work in the past. Quality paint projects should last for more than just one year and having the experience to choose the correct materials as well as having access to a large and experienced crew is vital for the success of any large commercial paint project. An inexperienced company might not have enough staff to complete the large-scale job you require and may run into issues that an experienced company would be able to avoid. Painting commercial buildings requires having equipment that can reach high areas, obstructed areas, and equipment that can section off large areas to avoid disrupting workers or clients. Also, it is important to have the correct equipment to apply paint to a large area in a short period of time, without compromising quality. For example, a professional commercial painting company will likely have access to a skyjack and spray guns with compressed air to apply paint to large industrial surfaces without taking many days to do so. This type of equipment allows for the paint to be applied in a very uniform manner, which is crucial when painting a large bare wall that would easily highlight any imperfections that could be the result of painting such a large surface with rollers. For tourist-based commercial buildings, professional painters are able to move through various rooms and paint them with effective ventilation and minimal noise, so that customers are not disturbed in any way. Having your commercial building professionally painted is a wise investment, both for the quality and durability of the paint job and for the benefits that an excellent paint job has to offer to your company. A professional looking factory, store front or hotel is likely to receive more attention from potential clients and tends to boost the moods of both employees and clients who spend extended periods of time in these buildings. After all, a commercial building cannot be successful if people do not wish to return to the building on a regular basis. Flaking paint, choppy tape lines and an uneven finish due to poor materials or a lack of experience with large buildings can deter clients from seeing your business as a worthy entity, so make sure to hire the best contractor you can right from the start. If you’d like to know more about our Orlando, FL commercial painters in, feel free to contact us here or call us directly at 407.877.3210.